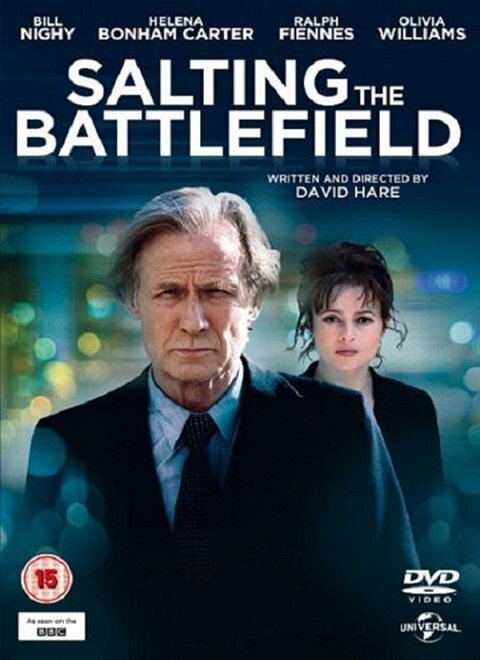 Following the events in Salting the Battlefield (2014). In the final installment of David Hare's Worricker trilogy, ex-MI5 analyst Johnny Worricker (Bill Nighy) pops up in Germany. He's still on the run from the British authorities, who are now aided by the German intelligence service in the cat-and-mouse game of tracking him down. The scandal involving the shady dealings of the British Prime Minister (Ralph Fiennes) is threatening to break in the open. A wind of change is palpable and one gets the feeling that events are finally heading to a showdown. It was always difficult to keep up the quality and suspense after the excellent first two films. For one, I found there was just a little too much explaining at the beginning rather than trusting in the intelligence of the viewer. So 'Salting' is probably the weakest of the trilogy, but weaker than excellent is still very good. I particularly liked the circular quality of the ending and the fact that, as in life, none of the main characters comes out as a real winner. The acting and the production values, as in the other episodes, are consistently excellent. The sensitive camera work supports the intricate mood changes and turns in conversations. Paul Englishby's Jazz tracks are a perfect match for Worricker's character. In a recent interview with Zap2it, Bill Nighy said that he would love David Hare to write more 'Worricker' for him. It's going to be a tough call to come up with an original storyline and to keep up the quality, but I for one wouldn't mind if he tried. Nothing is perfect but sometimes we have to be grateful for large mercies. In view of the generally mindless dreck that is offered on the screen (big or small) David Hare has at least given us intelligent dialogue written for adults and spoken clearly by a cast of actors who know what they're doing. No faux dramatic, over-amplified background music and no extraneous background noise ... we're here to hear people speak not how noisy the traffic is on a London street. It goes without saying that Bill Nighy is Worricker personified and it's hard to imagine anyone else in the role ... all that world-weary patience; it was good to see him finally lose his cool in the final episode and lash out as everything seemed to be falling apart. Highly recommended.